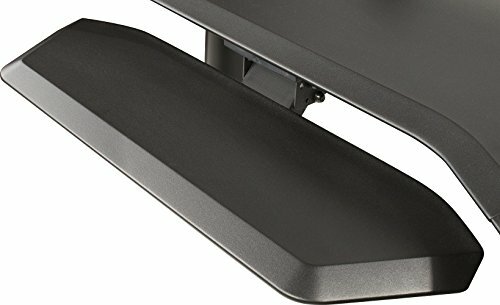 The NUC-KB1 Keyboard Tray is a sturdy keyboard tray for users of the NUC-001. The NUC-KB1 upgrades your Nucleus workstation with a fully adjustable and retractable keyboard tray designed to provide ample room for your mouse and keyboard, or even a small midi controller. It's made of the same custom powder-coated MDF material that is exclusive to the Nucleus line, so it looks classy and will last for years.